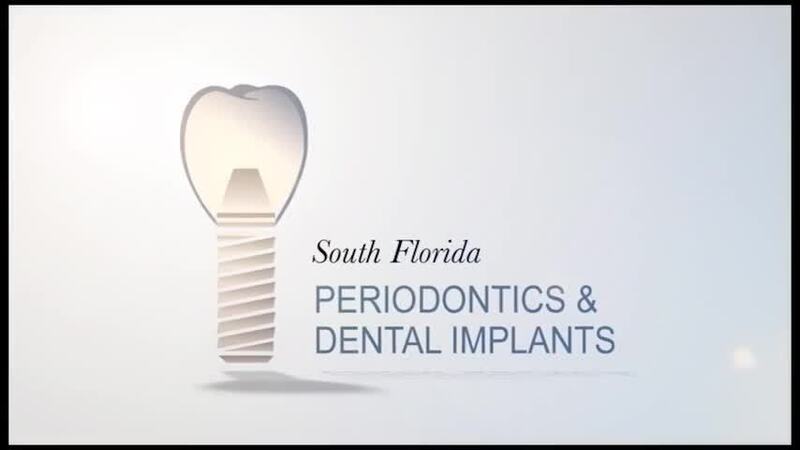 Welcome to South Florida Periodontics & Dental Implants, your Miami, FL periodontists for advanced periodontal services, gum disease treatment, and dental implants. Dr. Scott B. Ross and Dr. Bradley A. Ross welcome you to the practice and are here to provide you with exceptional care and services that will help you achieve optimal oral health! Make the right choice when choosing a Miami periodontist to take care of your oral health. Whether you need gum disease treatment, dental implants, or laser surgery, call us for your consultation with Dr. Scott Ross and Dr. Bradley Ross today! The team at South Florida Periodontics & Dental Implants understands that every patient has unique needs and we take the time to educate patients about gum disease, the latest advances in implant dentistry, and other treatments that are essential for restoring optimal oral health and function. Talk with us if you are experiencing any of the signs and symptoms of gum disease, have questions about periodontal health, or need a procedure for dental implants. We have been reinventing smiles for more than 30 years and are here to answer any questions you may have about your dental treatment plan at any time. Every patient receives a customized treatment plan during their consultation which outlines exactly which treatments and services they need in order to achieve optimal results. We will take the time to explain these services in detail and address any financial concerns that same day! We work hard to provide all patients with quality periodontal care in a relaxing and comfortable environment. Whether you need treatment for gum disease, tooth replacement services with dental implants, or a gum grafting procedure, you can count on us to provide exceptional service every step of the way.